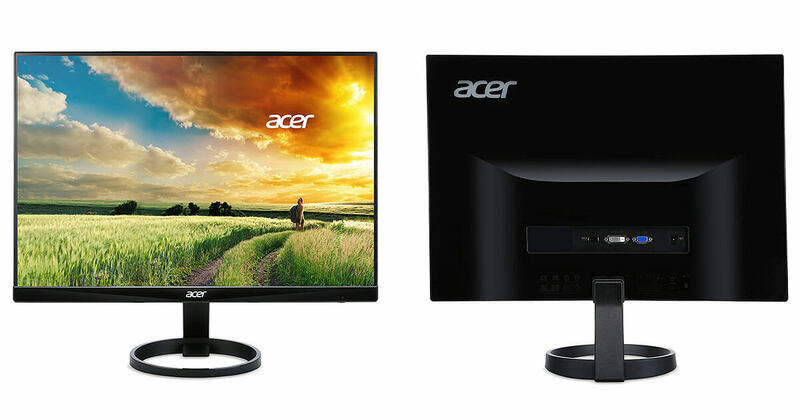 The Acer R240HY is considered to be one of the best monitors in terms of quality when compared from cost. It offers a flawless quality in terms of images with vibrant and bright colors and is widely being used both for the gaming and official working purpose. You will have to compromise with the quality of graphics, performance or any other particular aspect when you have got a limited budget to invest in for the monitors. It is one of the common problems which almost every people have to face. It is quite evident that you can only enjoy the benefits of things for which you have invested. However, now people take proper care while designing and configuring the specs of their system so that almost all the gains could be made available in the limited cost. The first thing which you are going to find common in the Acer R240HY review is the stunning quality of picture which has got both impressive resolution and at the same time rich colors. You will never get a better gaming monitor under 200$ like this Acer model. It has got a beautiful zero frame designs which leave an impressive character behind on its user. The IPS LED made display panel has got some of the realistic colors outlook. It has reached the response time of just 4ms which marks an edge over all its competitors. Within a limited cost, it offers many specs and features for its entire user. It has got a sturdy stand which cannot be tilted in any way which makes it quite tricky to use. You can say that it has reached a swiveling limited to the stand position. It is even commented that it emits over light than most of the other IPS monitors available in the market. Even the menu buttons are placed in the awkward position which leaves confusion in the mind of the people regarding its functionality. The Acer R240HY review is positively stated by almost its every user. Acer R240HY bidx has got a size of 23.8 inches with an IPS display monitor which has got LED lights. It can even be used for the gaming function as the display offers rich as well as vibrant colors. You can say that you would not get so many specs in any monitor in this price range. It can be widely made use in the set up which has got multi-monitors. When it comes to design, the Acer R240HY review has a premium look. It is both beautifully and creatively designed within the limited price consideration in mind. The monitor is beautifully designed with even less than an inch thickness. The best part of this monitor is that it has got thin bezels which leave impressive attention on its entire viewer. 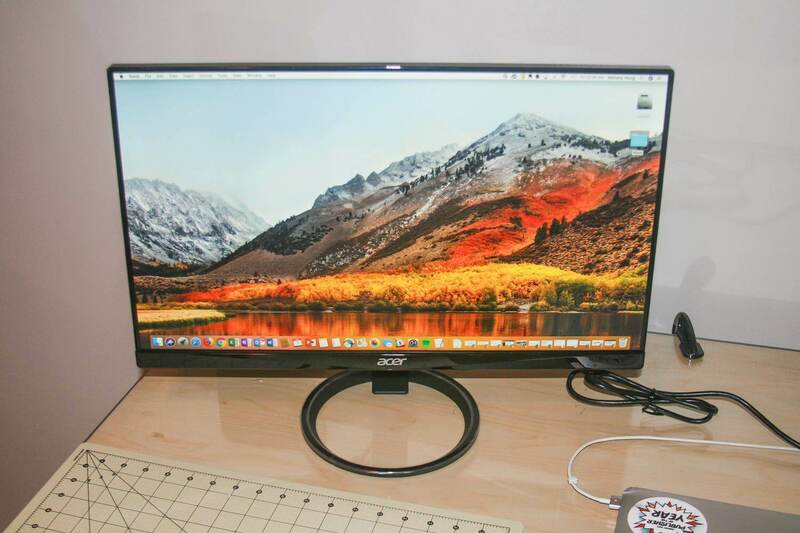 So, you can consider that two monitors can be easily placed side by side and the display could be made use to work without any bezel being noticed as the hindrance. Undoubtedly, it has got a straightforward interface where one can easily navigate without any issue. However, the button placed right below the screen is not positively commented upon by the people. Though they are not wrongly placed, it creates confusion in mind which one has got what functional feature. Acer R240HY has got an IPS display which ensures that the screen can be easily viewed even from the different angles with the real level of the color production. 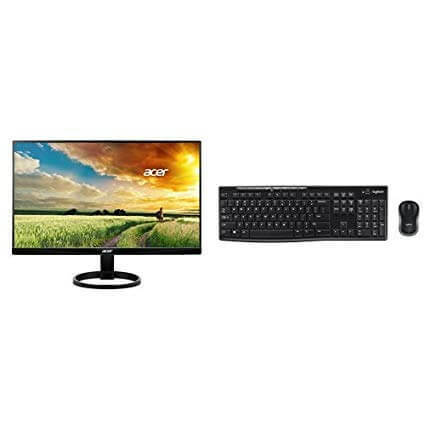 Acer R240HY bidx 23.8-inch IPS HDMI DVI VGA (1920*1080) widescreen monitor has a recorded brightness level of 250nits with a contrast ratio of 100,000,000:1. Even the backlight present is LED type, and hence also with 250nits, the screen outlook is bright and pretty enough making it quite usable even under lights. When it comes to ports specs that are being made available in the system, the Acer R240HY bidx offers one VGA, HDMI, DVI-D input types. You are being made available a 3.5mm jack for inserting the headphone along with the DC port to provide power to the monitors. However, the presence of one HDMI port makes it clear that one cannot connect two of the HDMI devices at a time. But, if you wish to use the PC plus, then you should fix the HDMI slot for connecting the console and the other DVI-D ports to connect the PC. You can however only make the use of the Audio jack only when the HDMI is correctly connected and is efficiently transmitting the sound. However, you need to be well aware of the fact that the Acer R240HY monitor has got no speaker or volume buttons placed on the screen. Since no built-in speakers are present, it is always suggested to have the external speakers as per your requirement. Moreover, even no external speaker is being made available to the customers free of cost. Even when it comes to the drivers, you can easily download it for this model of Acer R240HY, namely Windows 10*64 free of cost. Moreover, even making use of the DriverPack Solution software, which helps in automatic download of the driver with the easy updating options, is also enabled. You need to be well aware of the fact that the Acer R240HY is not exactly a gaming monitor. However, it offers a good response time of 4ms along with the zero frames whereas its competitor such as ASUS PG348Q provides a response time of 5ms which will make it a comparatively a much better option. 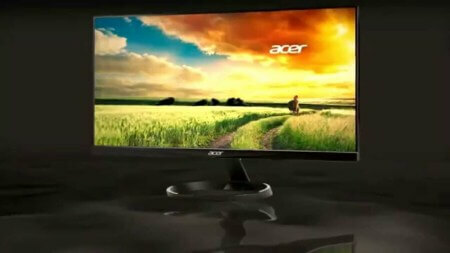 Though the Acer R240HY has not got all the expensive specs and feature found similar to other devices designed by Acer such as ACER KG271; however it has some of the unique special features which are mostly found in the gaming monitors. Acer R240HY Abmidx 23.8″ full HD (1920 x 1080) has got a flicker-less technology. It is one of the common issues which almost all the user has to face. Flickering creates stress to the eyes if you are making use of the monitor for work or the game purpose for a longer period. The flicker less technology of the Acer model helps its user to make use of the monitor for a longer period of operations without any problem. It has a zero frame design. Though it will be a common opinion framed by the people that the zero frame design cannot be considered to be beneficial or quite looked for as the gaming feature. However, it has got a huge impact as it offers an impressive experience while playing games. You can say that it is going to take the gaming experience of the user to an entire upper level. Even the monitors come up with the included VGA cable, though you will have to opt for the DVI cable or the HDMI if you wish to enjoy the benefits of either the hook up rather than the standard available VGA. The power brick is small in size even to the pack of cards. However, if integrated with the monitors it will be more beneficial for all its users. However, due to the separate presence, one can quickly detect the problems if either of them stops proper functioning. It is even said that this monitor is also able to stand equally with the ones offering 144Hz monitors which boast up 2ms response time and it also cost only a fraction of the total price. Even the refresh rate of 75Hz helps to deal with the potential problems of screen tearing situations. So, it is a boon to have a set up like this in the default case as it is found that most of the monitors have 60Hz refresh rate by default in this range of amount. Even many games are being enjoyed p with the crisp and clear image quality from the monitor. Having no blurring by default error in the image will certainly help you to focus on the series of the game. Compiling up the ACER R240HY Review, we can conclude that this bidx monitor can be regarded as one of the best options for the people who have a limited budget to invest in to acquire a monitor. It can fulfill your gaming needs and is the best option for the entertainment purpose and at the same time has got an impressive display and monitor outlook. It is highly recommended for the people who are engaged with the graphic designing work, editing experts and the person who needs to have some gorgeous and attractive pictures within the limited cost involvement. However, you should be well aware with the light bleed issue before you finally settled to have this model at your resident or working space as for many of the people, this fact acts as a deal breaker thing. Therefore, in the end, his Acer R240HY can be considered as one of the best monitor models to be opted for by the people.